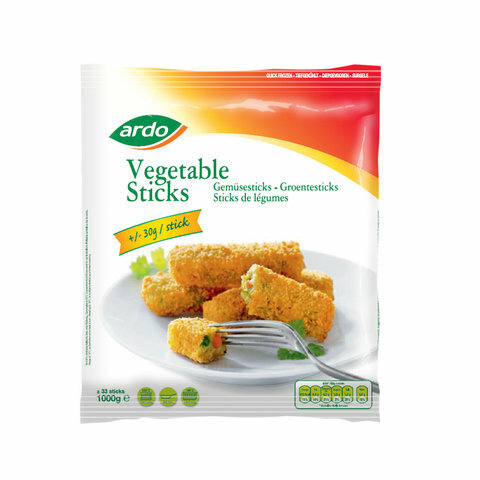 Fish sticks have got a delicious competitor with the ±30 gram vegetable stick made from peas, pieces of carrot and sweet corn all enveloped in crusty panade with a fine herb seasoning. Ideal for the kids. Fry the product with 3 table spoons of oil for 5-6 min, turning occasionally. Place the product in a single layer on a baking sheet. Bake in a pre-heated oven 200°C for 12-14 min. until golden, turning once.